Ever wonder what 5G will be? 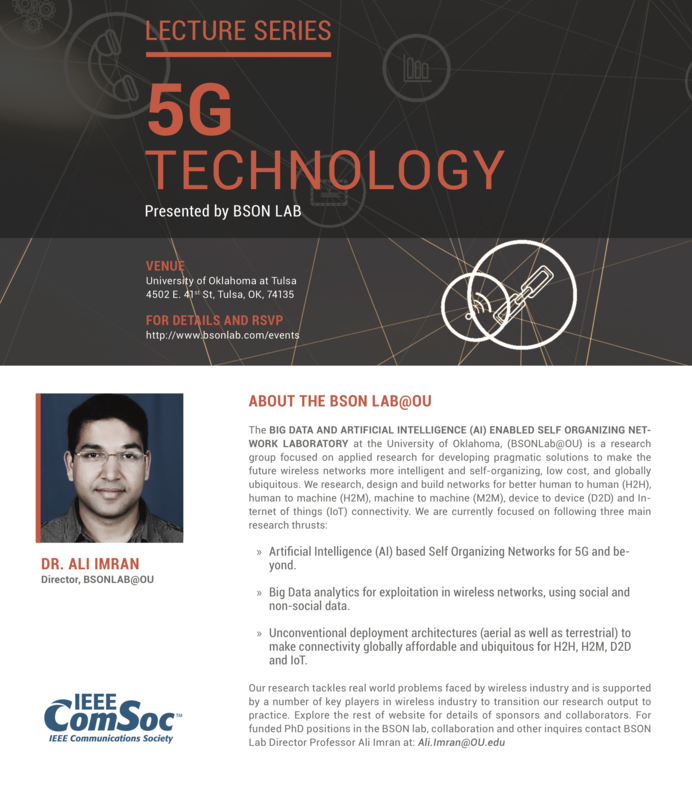 Want to explore Artificial Intelligence (AI) based Self Organizing Networks, Exploitation of Big Data analytics for network optimization, Emerging architectures for future 5G Networks and beyond? 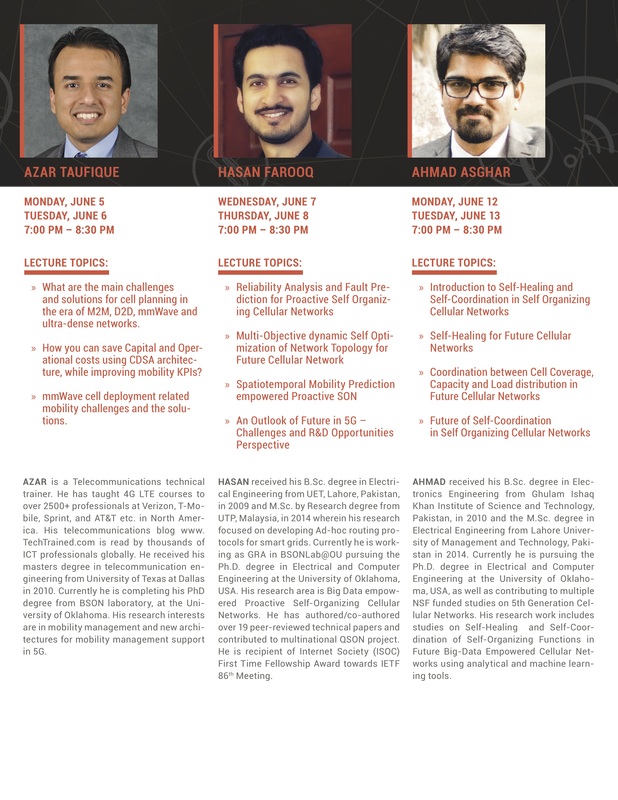 Join us at OU-Tulsa Campus for an inspiring 5G Technology Lecture Series brought to you by BSONLab@OU. 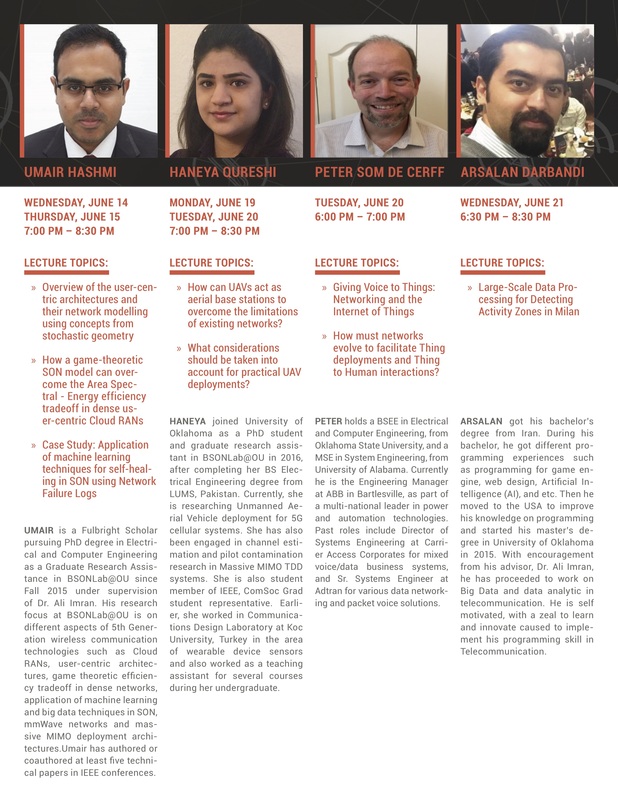 Leveraging latest research work done by BSONLab@OU PhD Students, the tutorial style lecture series is aimed at providing the audience with a comprehensive overview of 5G Technology. The theoretical discussion will be followed by selected case studies and lectures will be concluded with an interactive discussion of open research opportunities in 5G. The event is free, open to everyone, and refreshments will be provided at the end of each lecture.